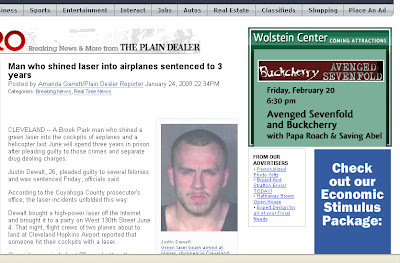 I was zipping around the internet and clicked on a link about a douchbag in Cleveland who was recently found guilty of shooting a laser at passing airplanes. 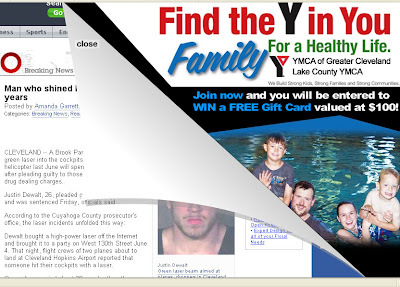 Upon arriving at the link, I was jumped by a YMCA ad that unfurled itself from the corner. I fought it back but couldn't help but notice that the guy in the pool looks a lot like the guy that just got busted for idiocy. His mustache looks like something the police sketch artist added for flair.